The 3 days Masai Mara reserve which is Kenya's most popular game park in Kenya. Masai mara hosts an amazing concentration of wildlife. You are guaranteed to see the Big 5. Lions abound throughout the park as do leopards, cheetah, hyenas, giraffe, impala, wildebeest, topi, baboons, warthogs, buffalo, zebra, elephants, and of course hippos and crocodiles in the Mara River. Has a Hot Shower and Flash Toilet, Beddings Provided. Arguably the jewel of Kenya's Wildlife Sanctuaries, Masai Mara hosts the annual wildebeest (gnu) and zebra migration of over 2 million animals between Kenya and Tanzania during the months of June-October. 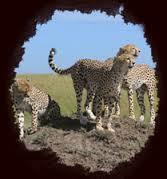 The 3-day Masai Mara Safari Tour is about having a close encounter with the wildlife population of the region. You can easily spot Lion, Cheetah, Elephant, Buffalo and several other jungle beasts on your safari trail. Depart Nairobi in the morning and drive to the floor of the Rift Valley - to Maasai Mara Game Reserve arriving in time for lunch. Afternoon game drive in The Masai Mara reserve which is Kenya's most popular game park in Kenya. Masai mara hosts an amazing concentration of wildlife. You are guaranteed to see the Big 5. Lions abound throughout the park as do leopards, cheetah, hyenas, giraffe, impala, wildebeest, topi, baboons, warthogs, buffalo, zebra, elephants, and of course hippos and crocodiles in the Mara River. . Dinner and overnight at either Enchoro tented camp . All meals and overnight at the Enchoro tented camp or Mara Sidai Camp or Masai manyatta camp masai mara . 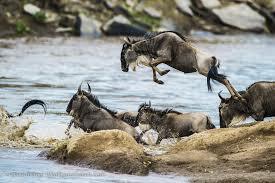 The Great Wildebeest Migration, is one of the “Seven New Wonders of the World”. No where in the world is there a movement of animals as immense as the wildebeest migration, over two million animals migrate from the Serengeti National Park in Tanzania to the greener pastures of the Maasai Mara National Reserve in Kenya during July through to October. Another early morning game drive in Maasai Mara, Kenya's most popular game sanctuary where you will have the best opportunity of spotting the Big Five - lion, leopard, buffalo, rhino and elephant., then depart after breakfast and drive back to Nairobi arriving approx. 13:00hrs. Drop at your hotel or transfer to the airport for onward flight home. - Full board accommodation in the Campsite which has a Hot Shower and Flash Toilet, Beddings Provided. - Christmas, New Year and Easter supplements. Samburu Game Reserve has Several species are considered unique to the region, including its ts unique dry-country animal life: All three big cats, lion, cheetah and leopard, can be found here, as well as elephants, buffalo and hippos and Ewaso Ng'iro river contains large numbers of Nile crocodile. 3 DAYS SAMBURU NATIONAL RESERVE WILDLIFE BUDGET CAMPING SAFARI. 3 days safari takes you to Samburu which is always rewarding and the reserve's small size means game drives concentrate on watching animals rather than covering the miles. 3 DAYS KENYA WILDLIFE BUDGET CAMPING SAFARI, SAMBURU NATIONAL RESERVE BUDGET CAMPING SAFARI. 3 days budget camping safari to see Many species which are rarely found elsewhere in Kenya. The narrow-striped, large-eared Grevy zebra, graceful long-necked gerenuk, Beisa oryx, Reticulated giraffe, and the blue-shanked Somali ostrich. A safari to the north via the high shoulder of Mountain Kenya to the Game Reserve of Samburu. Here the Ewaso Nyiro River supports a wide variety of game among them elephant, buffalo, cheetah leopard, lion, grevy's zebra, reticulated giraffe, oryx and the long necked gerenuk. This park is popular for the 3 cats. This is in good locations for camping with hot shower, flush toilets, beddings you don't need to bring own sleeping bags and above all freshly cooked food! both vegetarian and Non vegetarian foods. Depart Nairobi and drive North past coffee plantations via MT. Kenya to Samburu National Park. Picnic lunch and game drive enroute. Dinner and overnight at the campsite. Samburu National Reserve lies 325 kilometres north of Nairobi in the hot and arid fringes of the arid northern region of Kenya. The Reserve is within the lands of the colourful Samburu people, close relatives of the Maasai, and boasts a number of wildlife species rarely found elsewhere. These include the Grevy zebra, the reticulated giraffe and the Beisa oryx all species found only north of the equator. The long-necked gerenuk is a graceful antelope, which spends much of its time in a bi-pedal stance seeking succulence among the withered scrub, which dots this harsh terrain. Other animals commonly seen are elephants, lions, cheetahs, gerenuks, buffalos, grants gazelles, dik diks and waterbucks. There are over 350 varieties of birds. These include the famous Somali Ostriches (distinguished by their unique purple/blue legs during mating season), kingfishers, humming birds, eagles, guinea fowls and vultures. Scenically and faunally dramatic, for most of the year, Samburu National Reserve is under the unsympathetic equatorial sun. But relief comes from the wide swathe of the Ewaso Nyiro River which flows for some hundreds of kilometres to the west on the foothills of the Aberdare ranges and which vanishes beyond Samburu in the recesses of the Lorian swamp. The river is at its best in the Reserve, broad and sluggish with a large population of crocodile seen on sandbanks at almost every bend. In the lower reaches, where permanent pools have formed as a tributary joins the river, are hippos. The river is fringed with giant acacias, figs and doum palms all of which provide shade and sustenance to the wildlife, which comes to water here. Elephant roam the gaunt hills, which punctuate the scrubland and where occasional clusters of the vividly coloured desert rose challenge the arid surroundings. These elephant seek solace and contentment in the shallow waters of the river and from time to time a visitor finds herds bathing and drinking in a spectacle of unconscious pleasure. Early morning game drive followed by breakfast, Mid-morning game viewing, Afternoon game view drive . Meals and overnight at campsite. Early morning game viewing, After breakfast proceed to Nairobi with game drive enroute out of the Park. Picnic lunch enroute arriving Nairobi late afternoon. 1. Accommodation at the camps. 2. All meals as provided in the itinerary. 3. Transportation in a chauffeur driven minivan with pop-up roof for easy game viewing & photography. 5. Game viewing drives and parks entrance fees as indicated in the itinerary. 6. All Government taxes and levies. 15. On safari accessories in the minivan: - First-aid kit, wildlife books, binoculars, cool box and fire extinguisher Our safari mini bus or 4x4 safari vehicle Safari car with Binoculars. Amboseli famous for its big game and great scenic beauty whose entire landscape is dominated by Mt Kilimanjaro. 3 days budget camping safari takes you to Amboseli which is Kenya's international biosphere reserve. Amboseli in Masai language means "place of water" .The park has an endless supply of water which is filtered through thousands of metres of volcanic rock from mount Kilimanjaro. Vast herd of elephant, zebra, wildebeest, giraffe, impala and leopards are the main attraction. Amboseli are the plains below Mt. Kilimanjaro. The waters from melted snow drain down the mountain under lava flows and surface in Amboseli, creating a green belt of swampland amidst dusty plains. Here, hippo, elephant and bird life can be seen against the backdrop of the magnificent snow-capped mountain. Leave Nairobi and drive south through Maasai land to Amboseli. Short game drive in the park viewing game in this second most popular park in Kenya. Here you have a good opportunity to see all the 'Big Five' and a variety of other game with the snow-capped Mt. Kilimanjaro - the highest in Africa - in the background and also visiting the Maasai village to catch a glimpse of their way of life. en route to campsite arriving in time for lunch. Afternoon game drive. Dinner and overnight at Kimana camp. Full day spent exploring a park famous for its big game and great scenic beauty whose entire landscape is dominated by Mt Kilimanjaro. Morning and afternoon game drives are offered.. Dinner and overnight at camp. Amboseli National park is one of the most popular wildlife sanctuaries in Kenya. It is situated close to Kenya. It is situated close to Kenya- Tanzania border, The Park lies at the foot of Mt. Kilimanjaro, the highest mountain in Africa (5,896m) whose snow-capped summit presents a splendid view on clear days. Amboseli National Park is often referred to as “The home of Elephants’ some of the largest Elephant herds are found here. The Game Park also contains vast groups of Zebras, Wildebeests, Giraffes, Buffalos, Hippos and Antelopes. Also to be found in Amboseli are lions, leopards, Cheetahs, Rhinos and many species of plain game. After breakfast Pick up from your hotel around 8.00am and depart Nairobi to the Masai Mara game reserve is a fascinating ecosystem covering 1,500sq km of Savannah, grasssland,woodlands and riverine forests. It is inhabited by the "Big five", as well as a diversify of other plain game and a rich variety of bird life with a stop over at the Great Rift Valley view point. You arrive Masai mara late afternoon, early evening and proceed for a game drive dinner and Overnight at camp. The Masai Mara is best known for massive annual migration of hundreds of thousands of zebra, eland and gazelle, and millions of wildebeest. The Masai Mara is also famous for its exceptional Big Cat population and stunning open savannah scenery. This vast game reserve in the southwest of Kenya forms a continuation of Tanzania’s Serengeti National Park with the wildlife spectacle of the Great Migration moving between the two wilderness areas. Witnessing this awesome migration, which takes place around July to September and October, is a once in a lifetime experience and must see in Kenya. An excellent way to view the open grasslands and wildlife, especially during the migration, is by hot air balloon. Booking in advance is strongly recommended, as Mara safaris and balloon trips are very popular. After breakfast with picnic lunch you spent full day Maasai Mara, Kenya's most popular game sanctuary where you will have the best opportunity of spotting the Big Five - lion, leopard, buffalo, rhino and elephant. Meals And overnight at camp. Pre morning game drives and then after breakfast departs for Lake Nakuru which is one of the gem in the necklace of the Rift Valley Lakes often referred as the Pink Lake for it's great masses of pink flamingos with game Drive enroute and Picnic lunch. You are going to arrive Nakuru early evening dinner and overnight at camp. Lake Nakuru National Park, famous for its greater and lesser flamingoes, covers 180 sq km’s of central Kenya, northwest of Nairobi. The transitional savannah vegetation around the lake supports a white rhino population in the southern area and black rhino can also be sighted. Nakuru is a birding paradise, inhabited by nearly 450 bird species including several interesting water birds. Warthogs, buffaloes, reedbucks, waterbuck and sometimes leopard can also be found in Nakuru Park. Surrounding. After lunch depart to Nairobi arriving around 4/5pm in the evening.